Select Carl’s Jr. locations now serve the delicious Beyond Burger! The vegan burgers keep getting better and better, including the Beyond Burger which is backed by Bill Gates 💰💰💰. 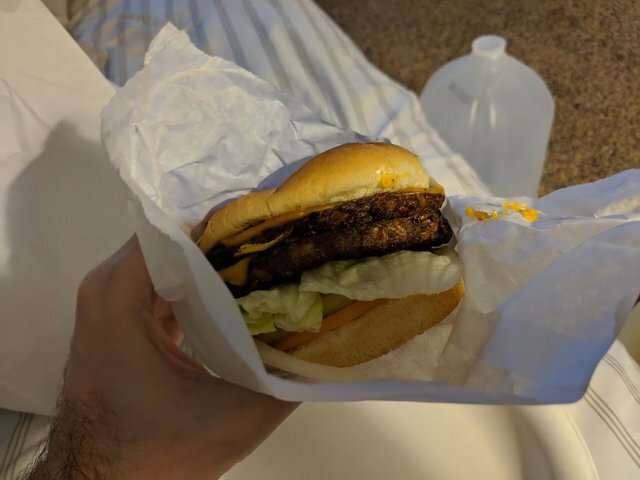 This one I had last night (actually ate 3 of them ), it's not a beyond burger but it is vegan. I got it at Vege-Way because they were out of the Beyond Burger. Beyond burgers are soy free, in case you are avoiding it.